How do I see how much memory I'm using? How do I see how much disk space is free? Is there a program like task manager in windows? 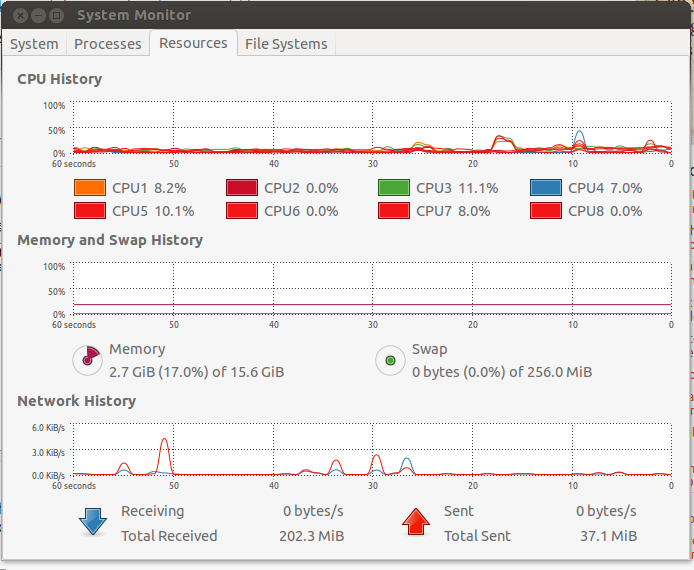 You can use the "System Monitor" is the Windows equivalent of the "Task Manager", you can use it to view how much hard drive space you have as well as how much RAM you are using. You can also use top to find information on running process'. You don't actualy call it memory on a HDD, just disk space. Go into the dash home and search for system monitor. 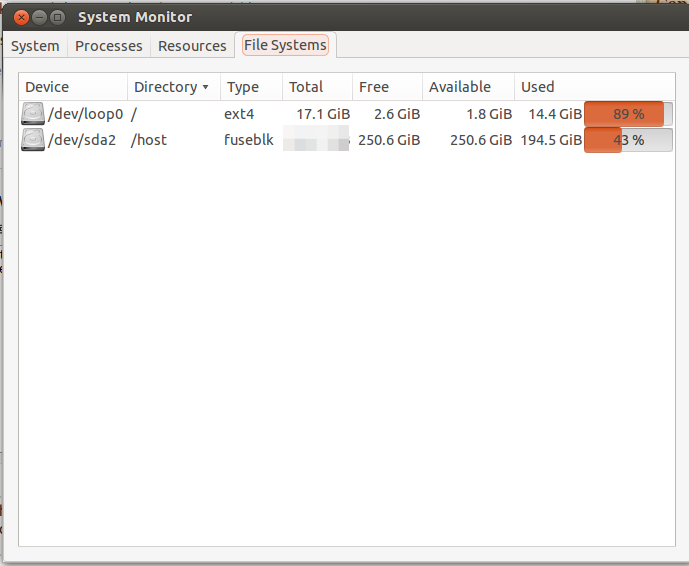 Go to the right-most tab (filesystem) it will show you how much space is left for each partition. System monitor will give you all the info about your system. It checks your disk free in a long human readable format. There is also a bulit-in software to see your RAM useage,unfortunately whose name escapes me. Not the answer you're looking for? Browse other questions tagged hard-drive window or ask your own question. How can I give Windows-installed Ubuntu more room? Cannot find remaining hard drive space after installing in a partition? Equivalent of real-time disk usage feature of “Task Manager” for Windows? How to find what causes the mismatch between the reported and the actual used space? How to move files from root SSD to another partition?